Our Voice Over Accounting services are provided by Eliot Stenzel. Eliot is a Certified Public Accountant (CPA) and a Certified Internal Auditor (CIA) that works with individual voice actors, production companies, and the entertainment industry as a whole. He has recovered millions in rebates for media production under state incentive programs as well. 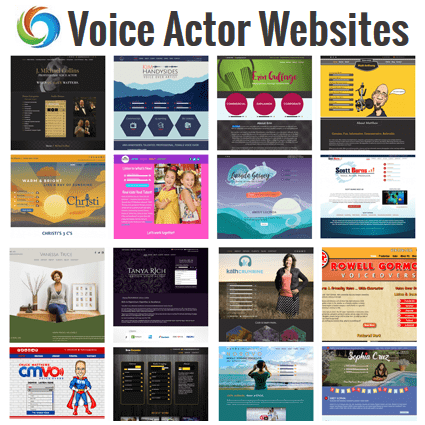 The voice actor and actors in general are usually in business for oneself, a self-employed person. If you are accustomed to working for someone else, or a company, you typically are an employee, and many things to comply with like tax regulations and corporate law are taken care of without your direct input. Self-employment brings on the responsibility of an individual “acting like a business”. You must be proactive in advocating for your new found role as a business with yourself as the employee. Performers can be paid as employees of a production or as independent contractors. If you are hired directly and withholding taxes are part of your negotiated deal with a production you would just report these wages as you normally do on a form 1040. It is the latter scenario as an independent contractor that causes the most additional work and planning for a self-employed person. Generally speaking if you are paid $600 or more the payee (production company) must issue you a form 1099-MISC for the amount paid in that calendar year. If you are incorporated, a “C” corp under tax law, you may not need to receive a form 1099. A C corp is rare for performers because of other reporting and compliance issues. Many performers incorporate as a limited liability company (LLC) under a given state law. If you are a single member LLC you must receive a 1099 under this scenario. Multi member LLCs would have 1099s issued in the name of each member that did the work. Once you have established the basic LLC structure the following “back office” concerns must be run effectively in order to focus on what you do best, the creativity of being a performer. Social security and medicare tax at 15.3% which as a self-employed person you are fully responsible for. Income tax and social security/medicare have quarterly filing requirements with the IRS and states. Estimated payment timelines can be more frequent. Sales taxes that can vary from state to state and are generally on the gross amount received. For instance if a production pays you $600 under a 1099, you would pay a sales tax on that gross amount. Most states have a monthly reporting and filing requirement and this can become a burden to remember to file and pay each month. Repercussions of failing to address this compliance issue can appear years after the fact as states do computer matching with the IRS. Unemployment taxes also vary from state to state and are imposed on wages you might pay yourself through your LLC. Payment can be monthly and reporting requirements quarterly. Insurance you may want to carry for yourself, such as disability, health (mandated now), long term care or liability. As a single member LLC you may still file the familiar Schedule C tax form or elect to file as a corporation. These decisions should probably be made with the assistance of a tax professional. You must account for every possible deduction as a self-employed person. These write offs help to reduce the rate burden previously mentioned. Everything you incur is potentially deductible. Travel, supplies, home office, equipment, postage, legal fees, accounting fees, auto, internet, printing, copies, telephone, are all possible write offs. The tax rates mentioned above are imposed on the net income on a Schedule C. You are now your own boss and should consider a retirement plan. A single 401K might fit the bill as you get to write off deferrals from salary you pay yourself as well as an employer portion up to 25% of salary. These amounts can be quite generous, especially as you get older. 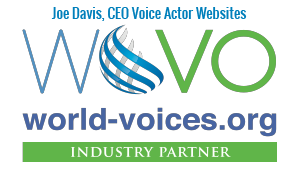 For more help and information on voice over, film and TV production accounting please contact us.